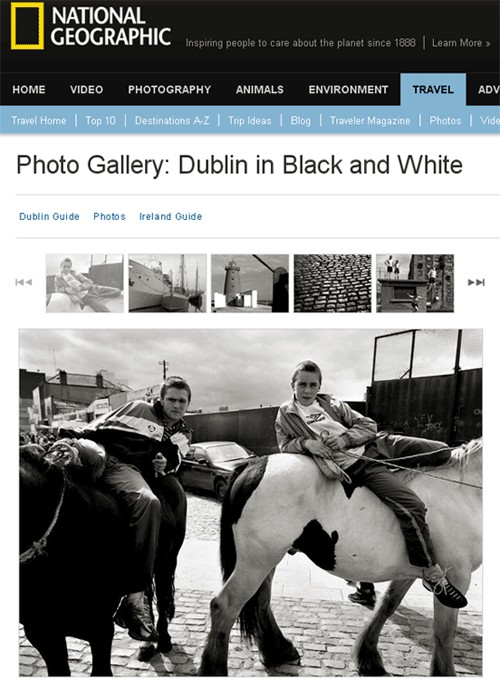 Screen grab from National Geographic web site featuring images from Dublin by Liam Blake from his book ‘The Dark Pool’. See link below for full article. These images and more from the same book can be seen under ‘The Dark Pool’ accessible from the home page on Liam Blake’s web site.